Do you like tea? Me too. Do you like to try new teas? Me too. 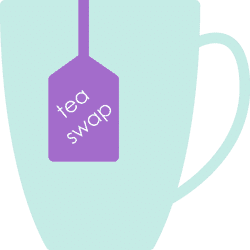 Do you want to do a tea swap? Tea swaps are fun. It’s a opportunity to try new teas and meet a new friend. The way a tea swap works is that you send me a email saying you’d like to participate. I’ll respond back happily and we can exchange information. I’ll send you a small package of teas in the mail, you send the same to me. Swaps are easy to send, usually it’s just a few different teas to try, alongside a sweet if you want, and a letter/postcard saying hello. The most important part is the tea… and making each other smile! Want to do a tea swap? Email me! From time to time I will run group tea swaps. Make sure to sign up for my newsletter to be informed when a group tea swap is running!